A soloist of the Moscow State Academic Philharmonic and a prize-winner at international competitions, the 28-years-old pianist Philipp Kopachevsky had won tremendous audience admiration and acclaim by the age of twenty-six. He regularly appears in recital in Great Britain, Germany, the USA, the Netherlands, France, Italy, Greece, Poland and Spain as well as throughout Russia. Kopachevsky has won particular popularity in Japan, where he recorded Chopin piano works for the NHK TV. Philipp Kopachevsky was born in Moscow in 1990. He graduated from the Central School of Music of the Moscow State Tchaikovsky Conservatoire. He is currently a student at the Moscow Conservatoire (class of Professor Sergei Dorensky). Philipp Kopachevsky has been a prize-winner at eight prestigious international competitions, among them the Х International Franz Schubert Piano Competition (Germany). The young musician has performed with the world’s great orchestras, among them the English Chamber Orchestra, the Academic Symphony Orchestra of the Moscow Philharmonic, the Symphony Orchestra of the Kolobov Novaya Opera Theatre in Moscow, the Tchaikovsky Symphony Orchestra, the Russian National Orchestra, the National Philharmonic Orchestra of Russia, the Moscow State Academic Symphony Orchestra under Pavel Kogan, the Novaya Rossiya State Symphony Orchestra, the Yevgeny Svetlanov State Symphony Orchestra of Russia and the Academic Symphony Orchestra of the St Petersburg Philharmonic. He has collaborated with such illustrious conductors as Valery Gergiev, Mstislav Rostropovich, Vladimir Spivakov, Mikhail Pletnev, Yevgeny Kolobov, Stanislav Kochanovsky, Yuri Simonov, among others. Philipp Kopachevsky has appeared at numerous international festivals, such as the Andrei Sakharov Festival (Nizhny Novgorod), the Vera Lotar-Shevchenko Memorial Competition (Novosibirsk), the Steinway Festival, the Miami Piano Festival, the Arts Naples World Festival (USA), the Colmar International Festival (France), the Mstislav Rostropovich Memorial Festival (Baku), the Baltic Seasons festival (Kaliningrad), Vladimir Spivakov Invites, Stars on Baikal, Crescendo and Denis Matsuev Invites, among others. He performed at the world premiere of choreographer Benjamin Millepied’s ballet Without at the Mariinsky Theatre. 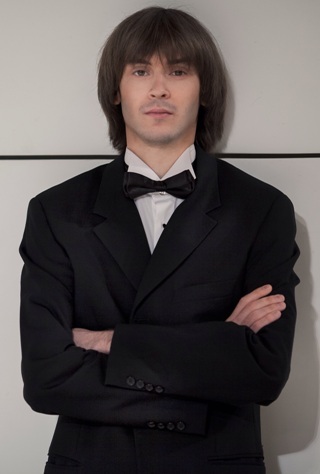 In the recent seasons, after his debut with the Filarmonica Toscanini Orchestra (Medtner n. 1), he performed with the National Philharmonic Orchestra of Russia (Grieg), the Simonov Orchestra of Moscow (Prokofiev n. 3), the State Symphony Orchestra “Svetlanov” (Tchaikovsky n. 1, 2, 3), made his debut at the Philharmonie in Paris (Rachmaninov Concerto n. 2) and with the Orchestra Sinfonica di Milano LaVerdi (Chopin n. 1) conducted by Stanislav Kochanovsky. Upcoming engagements include the debut with the Deutsches Symphonie-Orchester in Berlin conducted by Valentin Uryupin (Rachmaninov Variations), the debut with the Belgrade Philharmonic (Scriabin Prometheus) conducted by Gabriel Feltz, as well as recitals in Europe and tours in South America with the Academy Svetlanov Symphony Orchestra from Moscow. After the great success of his recordings for Piano Classics dedicated to Scriabin, Liszt, Schubert, Janacek and to Brahms latest Sonatas, in 2019 he will record a monographic CD dedicated to Ravel. Philipp Kopachevsky is part of the Moscow State Academic Philharmonic’s project “Stars of the 21st Century”. 2018-19 season (October 2018). Not to be altered without permission.